Dagger Kayaks is again one of the Toby Creek Race Title Sponsors. We are super grateful to have them bringing $$’s to the event to help us continue to run it and have it grow. Many of you will have met the Dagger rep Neil at past events and again, he will be in attendance. Those looking to demo or race in the Dagger Phantom can hit Neil up at the event as he will have one available to use, along with a bunch of other Dagger whitewater boats. We asked Neil a few questions about Dagger as a brand and business, some super interesting insights below. What do you do? What makes your company tick? How long have you been in business? Those that know kayaking know Dagger. Our goal is to represent everything that’s great about getting on the water, from the technical aspects of rec and touring to the pure rush of whitewater. We stand behind all of our kayaks with the assurance of the highest levels of quality, from initial design to end performance. Our knowledgeable staff and your local authorized dealer can help you with any issues and help you get back on the water as quickly as possible. We also provide a growing number of online resources to help you quickly find what you’re looking for. We’re a company that started in a small shop with a dirt room floor. A few paddling buddies working tirelessly to kickoff a young paddling industry doing what they loved. Look at us today, and we are proud we haven’t really changed a heck of a lot from those core principles. The faces are different, and the family is growing, but it’s still just a group of people who love to paddle and build boats that others love to paddle. There’s a lot that goes into every Dagger kayak design, not the least of which is living up to our heritage of innovative performance and quality. The truth is, most kayak companies make at least one great kayak, but what sets Dagger apart is offering best-in-class leaders that master every type of moving water from the mountains to the sea. What is your ‘signature’ product, what helped you become the business you are today? 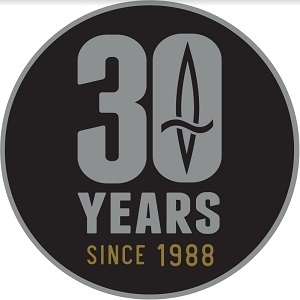 2018 marks our 30th Anniversary at Dagger. To celebrate we brought back one of our most iconic models, the RPM, along with the RPM Max, for a limited time and in limited quantities, updated with our best in class Contour Ergo Outfitting. The RPM was first released in the late 90s and was a revolutionary, ground breaking model in both freestyle and river running. Its reputation has remained strong for decades since then, even today all sorts of paddlers still enjoy this classic design. This season also saw us introduce the Phantom, this 9 foot creek race model is sure to become a classic design as well. What are you providing to support the event? Dagger provides $1,000 cash to the event which goes directly into the prize purse for the Elite Category competitors. We know businesses are inundated with sponsorship requests, why are you involved with the Toby Creek Festival? Dagger was first approached with the opportunity to be a title sponsor of the Toby Creek Race for the 2017 race. This event provides a huge of amount of visibility for Dagger in Western Canada and fits extremely well with our core values as a company. The community spirit of the event, grassroots feel as well as being an event that offers something for all level of whitewater kayakers, makes this event a priority for Dagger each year. Dagger also has an amazing social media presence, their content is infinitely watchable and more is being added all the time. Very worthwhile checking them out on the channels below!